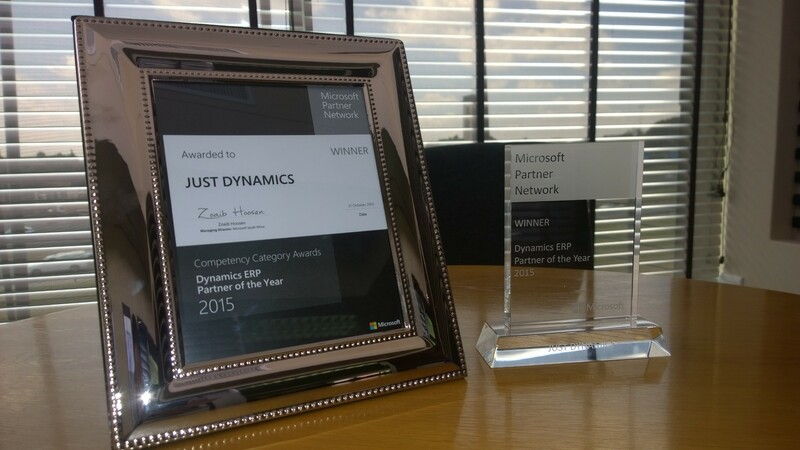 Congratulations to Jeffrey Mann and the Just Dynamics team on being awarded the Microsoft Dynamics™ ERP Partner of the Year 2015! The annual awards celebrate top Microsoft partners that demonstrate excellence in innovation and implementation of customer solutions based on Microsoft technology. Just Dynamics is a Microsoft Gold Certified Partner that provides integrated business solutions for ERP, CRM and BI using the Microsoft Dynamics™ suite of applications. Recognising the globalization of supply chains and increasing customer demand for innovation and lower costs, Just Dynamics, with over 15 years of experience across retail, manufacturing and services industries, provide clients easy-to-use, flexible solutions enabling more effective management of their businesses. Services include analysis, design, customisation, implementation, project management, training and support.